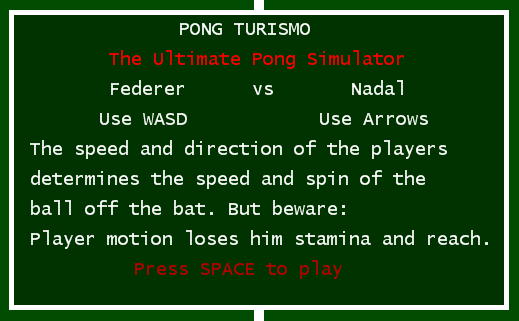 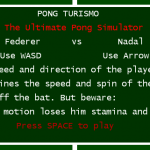 Pong Turismo - The Ultimate Pong Simulator is based on Pong but I tried to change the gameplay to ’simulate’ Pong as a real sport. 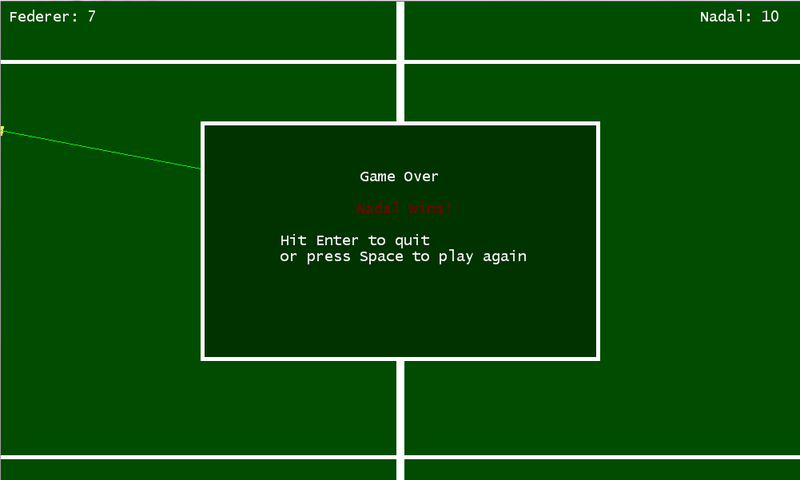 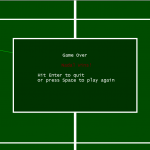 The players can now move back and forth. 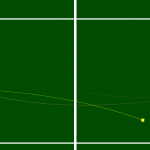 As they move they lose stamina - that recovers as they stop - which determines how quickly they move, the strength of their shots and their effective reach. 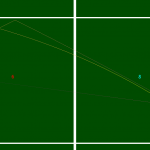 When the ball hits a player, the angle, spin and speed of the ball is affected by the movement and speed of the player. 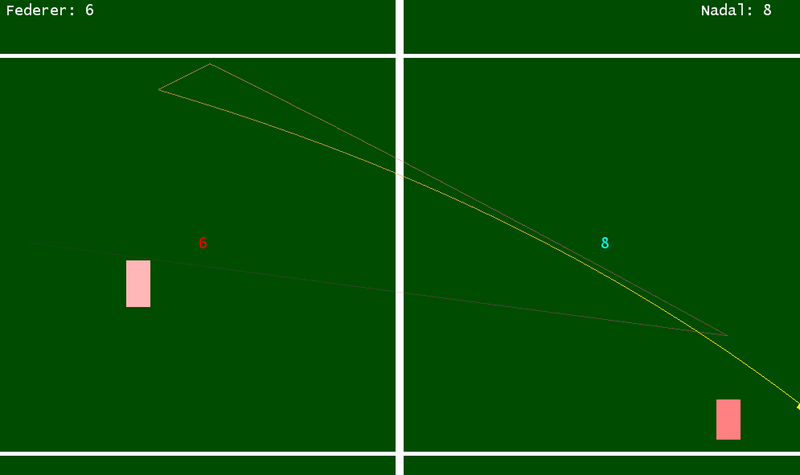 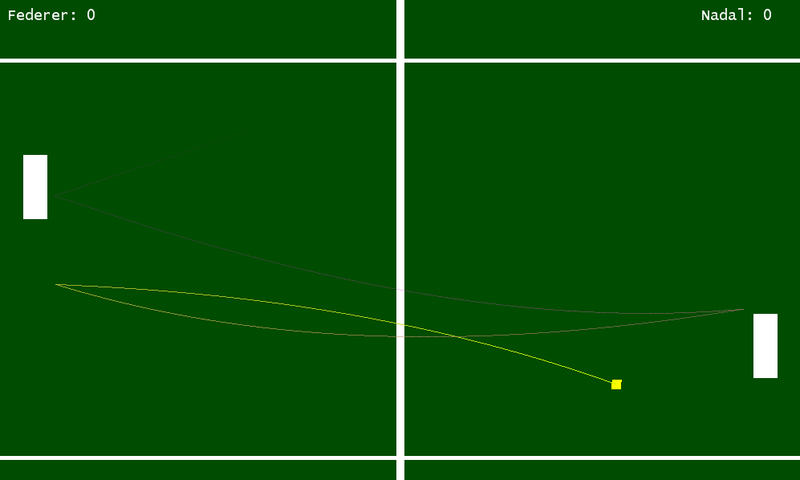 The ball now decelerates through the air and curves according to its spin.